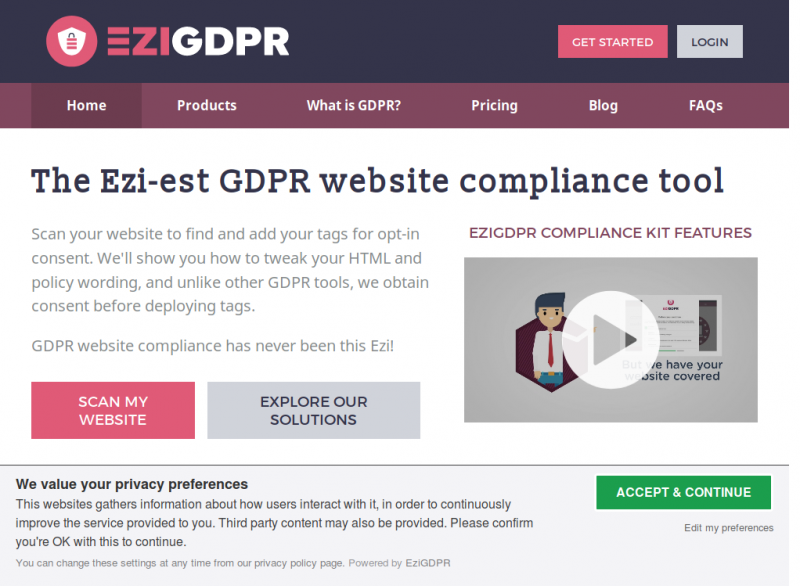 The website GDPR Compliance Kit from EziGDPR includes three display options for requesting opt-in consent for tracking tags, cookies and pixels. Each of these options has it's own pros and cons and we want to give you a quick overview of these to help you make the best choice. First, let's look at the three options. In every case the logo, the main header and the explainer text can all be customised, as can the categories. This format is arguably the most compliant as it ensures the user has made a choice before proceeding, and ensures they are able to do so at a granular level. 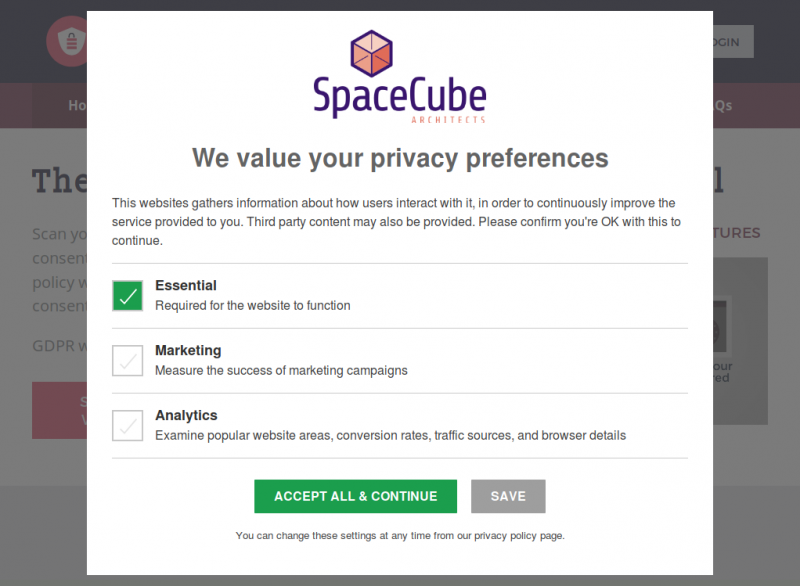 This option also ensures a choice is made before proceeding to site content, but offers the user more obvious, simple way to proceed. This is more likely to result in the user simply accepting all of your tags, though they can still click on "Edit my preferences" to access granular options. This format is proving to be the most popular, and if it's done properly (tags not deployed at all until after consent is given) can also be compliant. This is the least intrusive for the user also, as they can still interact with your content - which could be all you need. 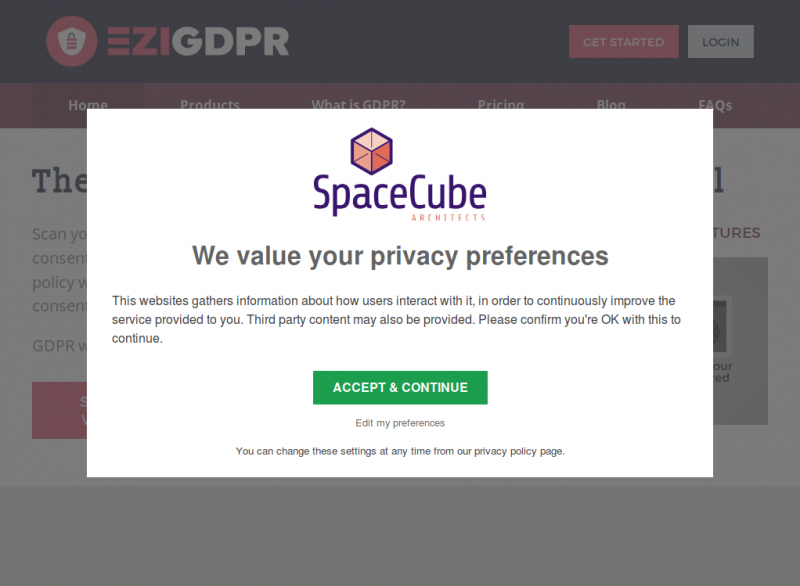 So, how do these GDPR Consent Popup options compare with each other? So there you have it, there's a GDPR Consent Popup option for everyone, and they're all customisable to suit. If you've not already seen it, check out our GDPR Compliance Kit and GDPR Website Compliance Checker to quickly start complying with GDPR.